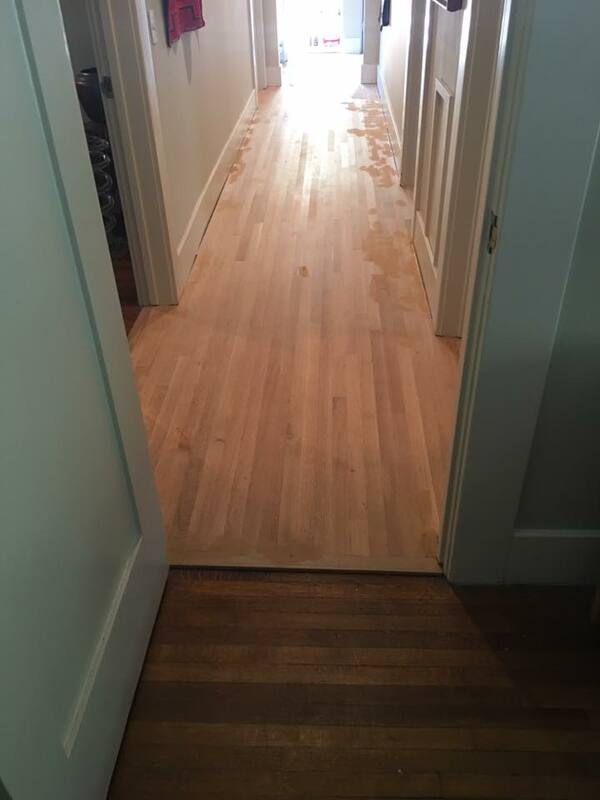 left in the installed floors. 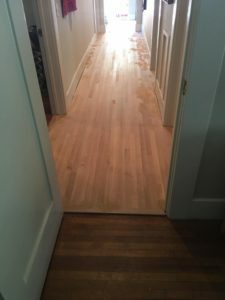 We were able to give theses clients what they wanted by buying and installing new quarter sawn oak flooring for the additional area and wait 3 weeks for it to acclimate. 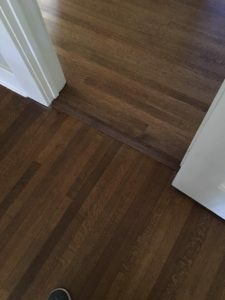 After the acclimation period we returned to this Santa Monica job . We were able to make a close match between old and new colors. We stained with Duraseal Golden Brown and finished with three coats of Duraclear satin, the results speak for themselves.